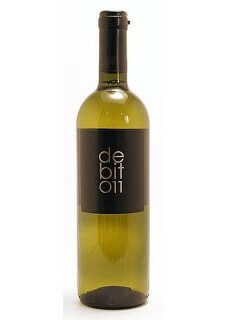 It has been suggested that Debit is related to Italy’s Trebbiano. Similarly it can produce short lived, innocuous wines, as well as those of profundity. The name is rumored to have come from Napoleon who rather enjoyed the local wines and would take payment, or “Debit”, from the people in exchange for his protection. Debit is Alen’s pride, much of his reasoning behind making it fresh is to show the range and versatility that the native white grape is capable of. More to the point is his personal need for a nice white wine for drinking at the beach, on the boat, or on a warm Tuesday afternoon friends drop by. Fermented and aged in temperature controlled stainless steel the wine is a transparent refreshing expression of the variety. Fresh cut green apple dominates the aroma and flavor of the wine. Easy drinking, even fruity, there is enough pithy minerality, to keep the conscious drinker engaged. Food pairing: Fried seafood, fresh Mediterranean cuisine.